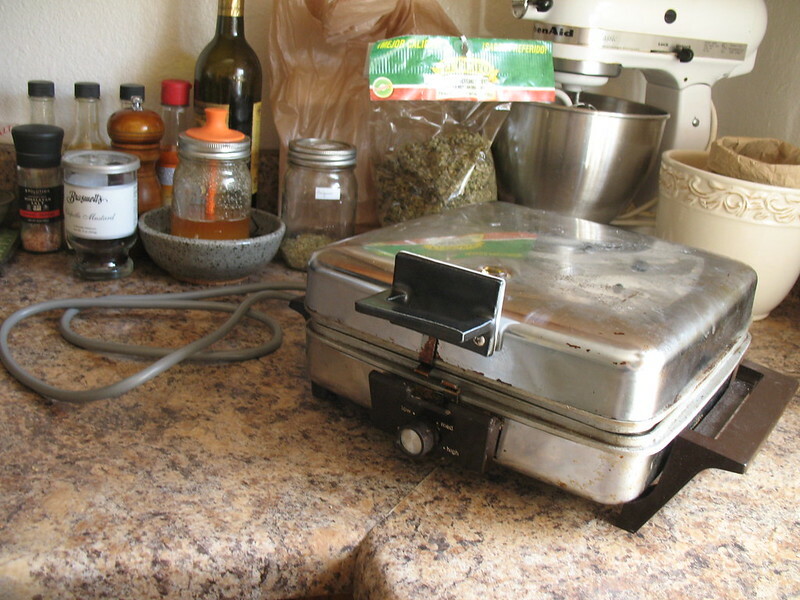 I was just about ready to give up completely on the project of re-wiring the waffle iron. Thankfully, scrottie was willing to take over. He has done many more electrical/wiring projects than I have, and had much better ideas for how to deal with the wire attachment points. He also upgraded it from a two-prong to a three-prong plug. Hurrah for decreased risks of electrocution-by-waffles. 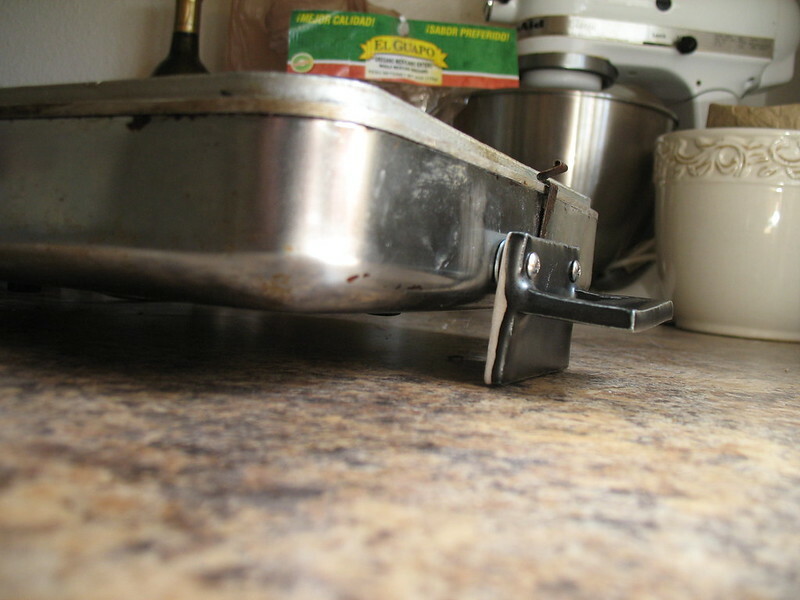 Lowered risk of burnt countertops. I tested it out this morning, and it made delicious pancakes. Oh, and the handle stayed cool to the touch. Now S says I should upgrade all the fixtures to ceramic, heh. 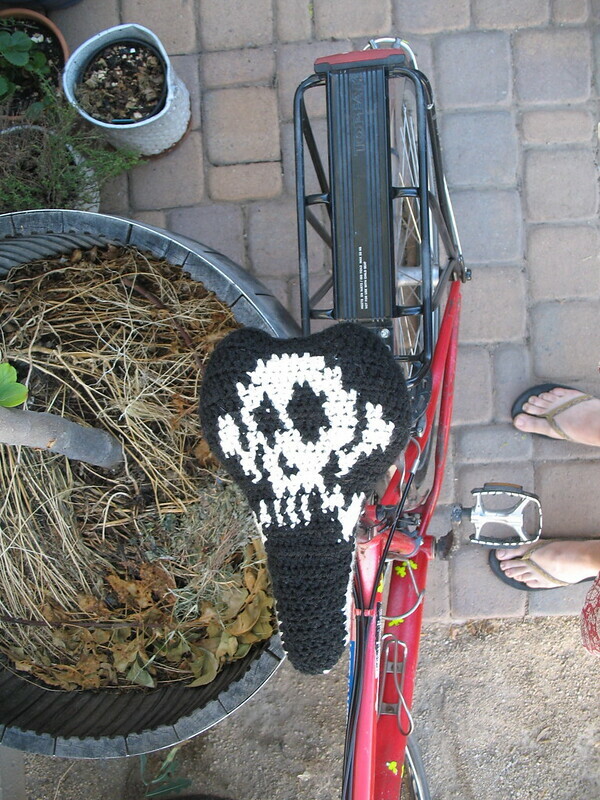 I also finished crocheting the Jolly Roger bike seat cover for the Jolly Roger, and test-rode it this morning. My idea is that it should help provide some sun protection for the saddle, given that the Jolly Roger is stored outside all day while I'm at work. It will also be helpful for times when I am running errands and am parked in the sun. That reminds me that I should look into UV protection for the basket, too. Hmm. This entry was originally posted at https://rebeccmeister.dreamwidth.org/1231640.html. Please comment there using OpenID.